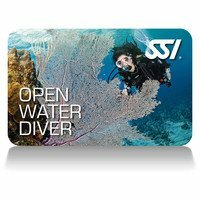 Learning to dive is much easier than you think and the best way to experience this amazing new sport is the SSI Scuba program. Simply set up your SSI Account, download the MySSI App on your smart device and enroll in your course. Undecided? Set up your account (it's free), download the Ap (it's free) and we will give you a couple free courses to try out at no expense. If you want to dive anywhere you want, with anyone you want, the Open Water Diver program is your international certification to be part of an exclusive group of underwater explorers that most people only dream about joining. Obtain air fills, rent or purchase scuba equipment and participate in other diving activities. Continue your dive training and complete more advanced diver courses and certifications such as Nitrox, equipment and rescue specialty courses. The Open Water Diver certification opens the door on the underwater world for anyone who's thought that a course would be too difficult. Upgrade to Advance Diver whenever you are ready. You'll use all the basic scuba gear and some of it may be included with your course. You may want to invest in your own mask, snorkel and fins since these personal items are a lot more fun to use when they fit properly. A buoyancy compensating jacket that holds your scuba tank, a scuba regulator that delivers air, a weight system and instrumentation to monitor depth and air supply will also be used. You will wear a scuba wetsuit to enhance the comfort and relaxation during the Scuba Diver Course. We refer to this as the SSI Total Diving System. Ask us how we can help you purchase a Total Diving System with your course and take 6 or 12 months to pay for it INTEREST FREE! 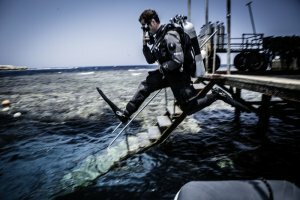 We offer a variety of home-study materials for the Scuba Diver - but prefer the SSI Digital Training Courses as they let you learn on your own schedule and not be stuck in a classroom for several nights on our schedule. Your diver materials provide a comprehensive overview of basic scuba diving skills, terminology and safety procedures. For each concept you'll read a description and watch a video demonstration, and take on-line quiz to test your comprehension. Once completed you will take a final written exam in our classroom, obtaining a 80% passing score. Once you're a certified diver, use the course materials as a reference guide for future diving adventures. You will always have access to the most current material at no cost.